It’s that time of year again and I’ve got a busy few weeks coming up. Christmas is coming up again and I’m looking forward to seeing you all at some festive fairs. It all kicks off next weekend at FLOCK contemporary Craft and Design fair, Saturday 17 and Sunday 18 November from 10am – 5pm, at The Barn up in Banchory. This is my first time up at The Barn and I’m really looking forward to seeing it. The event has a great selection of makers which you can see on their website link above. After that you can find me at another new one - CRAFTED on 1st December at Dundee Contemporary Arts, in the Briggait on 8th December with WASPS festive market and at Tea Green’s Kibble Palace fair on the 9th December. Make sure you wrap up warm for the last two if your planning on coming along. I love this time of year as I get to meet an array of new and existing customers as well as other makers. This year I’m trying to buy as many of my presents from the markets as possible and I can’t wait, see you there. 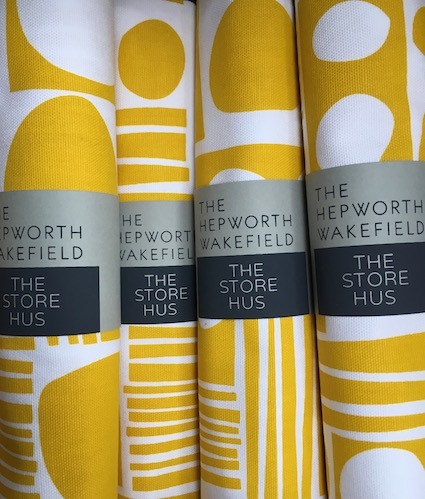 We are delighted to present a limited edition collection of textile products inspired by the work of Barbara Hepworth created in collaboration with The Hepworth Wakefield. Now available in their gallery retails space and online. As you may have guessed here at The Store Hus studio we love pattern. We could spend hours upon hours looking at, researching and designing patterns. Literally. All. Day. 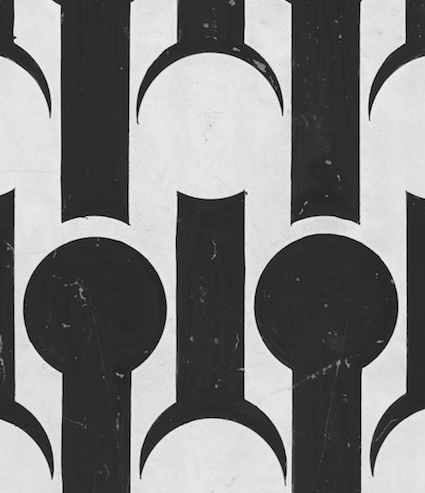 So it is fair to say we are looking forward to getting our hands on a copy of Patterns: Inside the Design Library for some serious pattern indulgence and inspiration. Holding a collection of over seven million pattern swatches the Design Library in New York is somewhere I have always wanted to visit. The collection holds samples of wallpapers, textiles, embroidery swatches and pattern books from as early as 1750's and the book has a carefully selected highlight of the archieve between its covers. Kinfolk's article on the new book talks to science writer Philip Ball who explains what happens to our brains when we see a pattern and why they will often establish a pattern when there isn't one as a way to find order in chaos. This book is definitely on my reading list! At the end of last year I spoke with Craft Scotland about The Store Hus and how we have been preparing in the run up to Scotland’s Trade Fair at Glasgow's SECC, 22nd to 24th January 2017. The Craft Gallery is a partnership between Craft Scotland and the Trade Fair organisers, Springboard Events Ltd, and is designed to showcase the talent and variety of craft makers in Scotland. You can watch the video below and come see us on stand CG31! Born on 5th January 1917, one of my favourite designers, Lucienne Day, would have been 100 year old last Friday. She was one of 20th century Britain's most influential textile designers playing a pivotal role in the influence of design from the Festival of Britain onwards. Best known for her fabric design Calyx she took inspiration and motifs from nature and transformed them into something totally new and exciting, giving out a message of hope and regrowth to a post war Britain. Day was also influenced by abstract painters such as Miró, Kandinsky and Klee and, as mentioned in the short film below, it made her happy to think that everyone could now have something in this style in their homes even was a pair of abstract patterned curtains rather than a painting. Making the link between mass production, fine art, affordability and good design Day's fabrics were often printed in long runs which helped keep the cost down. Her husband Robin also made furniture in a similar way, using cheaper materials to produce his furniture at a lower cost. With a wide range of geometric, hand drawn and more painterly pattern design and a brilliant understanding and use of colour Lucienne Day is one a handful of designers I always go to when I'm feeling uninspired or stuck. The Robin and Lucienne Day Foundation has launched a programme of exhibitions and events to mark the centenary of such a prolific, progressive and influential designer on what would have been Lucienne’s 100th birthday. I can't wait to see the retrospective exhibition at the Glasgow School of Art in September later this year, Check out the Lucienne Day 100 website (link above) to find what is happening near you. We love an early morning breakfast on the way into studio at Bakery 47 so what better place to host our first solo pop-up shop! Wild Gorse Studio was started in 2015 by Julia to allow her to further explore her background in the creative arts and traditional floristry. Inspired by the wild beauty found in her surroundings in the Scottish Highlands she uses locally source and foraged botanicals to create organ and expressive floral compositions. There's not long to go now before London Design Fair opens and the Scotland: Craft and Design pavilion opens to "present the very best in contemporary Scottish craft and design". We are delighted to have been chosen as one of the 22 Scottish designer/makers involved and can't wait to get to London. In anticipation of the launch I chatted with Craft Scotland about my thoughts on the inter play of craft and design in our work and about my favourite pieces in the show. You can read the post in full HERE. 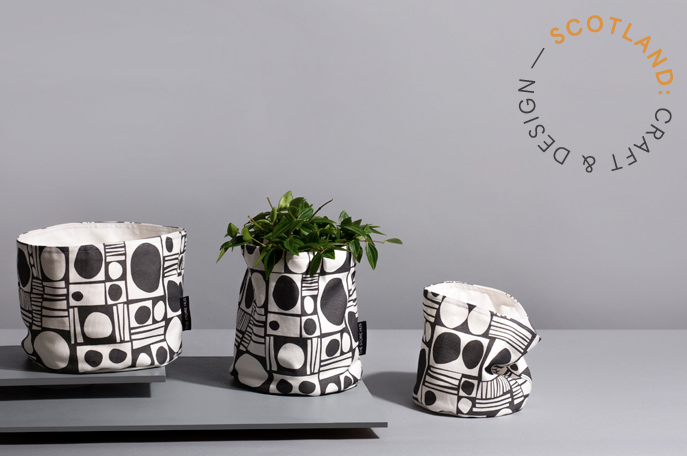 We’re gearing up to go down to London in a couple of weeks to take part in London Design Fair to be part of Scotland: Craft and Design pavilion. First up is Craft Scotland Summer Show, Back for it's 4th year and we are delighted to be taking part again. Come see and buy some of Scotland's best contemporary craft in Edinburgh's city centre. Secondly we are very excited that The Poundshop has come to Glasgow and with the help of local designers has transformed South Block into an affordable design store for the duration of Merchant City Festival 2016. As part of the programme of events taking place around this we will be running a print and sew a pencil case workshop. If you would like to join us you can book your place HERE! We're very excited to share the first glimpse of new product range with you, starting with these serving trays! Our lovely new stockist Hoos will open their doors for the first time in two weeks. Join us in store from 5-9pm to help them celebrate! We also have dates for upcoming markets to announce soon. We're looking forward to seeing you there and to hearing what you think about our new patterns and products. Watch this space! Spring is finally here and we can see this reflected in our current inspiration board. Turquoises, pinks and oranges always bring a smile and we are having fun playing with these in some of our new designs. There is only 4 days left to see the Alexander Calder exhibition currently on at Tate Modern, London. I made a special trip down to see it a few weeks ago and came away feeling very inspired and excited to get back to the studio (see below).